Rex and Christine lived their hey-days in 1970’s London, heavily involved in the rock and roll scene. Rex, a guitarist, played in a successful band and Christine was a costume designer, creating outfits for popular bands and rock stars. For various reasons, Rex stopped playing guitar but his band continued on to great success and fame, particularly the lead singer, Lester Jones. When they begin their family, Christine too becomes less involved. Twin boys Archie and Gabriel are born to them, but tragically Archie dies at 2 years old, leaving his brother Gabriel growing up with parents who remain caught up in their past, the free-love, authority-loathing tenets of their glory days. Our story with them begins with Gabriel at 15 years old; sensitive, creative and who still “talks” with Archie. Christine has finally tired of Rex who remains jobless and unmotivated, forcing him from the family home. In a bid to move on in her life she gets a job and appears to be moving towards responsibility and adulthood, something Rex still seems loathe to do. Rex and Christine seem so familiar to me and yet I can’t say I know anyone truly like them. At least not parents that I know. But in my wider circle of friends and acquaintances there are those who have held on to the ideals and dreams of their youth, so that their approaching middle age and all the responsibilities that come with it seem to be something to avoid, mock and at some level, abhor. With Rex, his dream was quashed not through a lack of talent but through circumstances not entirely of his own making, makes him cling to a dream of not what-could-have-been but what-should-have-been. Christine’s attempt at moving towards responsibility appears to be more about getting rid of Rex and a certain freedom that she attains through this. The voice of maturity and clarity comes from Gabriel. He felt a lot younger than the 15 years he was supposed to be but still more mature than his parents. On paper, the story seems to be quite run of the mill; estranged parents helped towards personal growth by their special child. 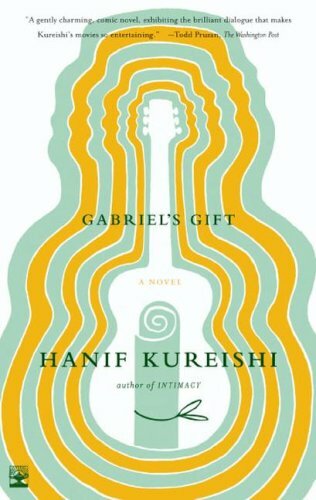 However, there is a freshness and unexpectedness that Kureishi has brought to this tale that I thoroughly enjoyed. The character of Gabriel is a study in contrasts; childlike and innocent but aware enough to steer his parents and to be able to handle some other, more odious characters. It is truly a modern story in feel; situations arise that are unpredictable, not quite organic in feel but not working to a formula either. Not an unpredictability due to twists but an unpredictability that arises from impetuous and impulsive humans doing impetuous and impulsive things. It is this that I found refreshing and combined with its short length made it a quick, easily enjoyed read. It would be hard to categorise this novel. It is a family drama but it is also funny in parts. A comment on parenthood not necessarily equating with maturity, particularly if the focus is too much on the past, not on the present or the future. There is even the smallest touch of magical realism which is the only part I felt really didn’t fit, which in a novel where there are lots of different experiences and aspects to make up the full human experience, just left me feeling a little confused. Enjoyable therefore for the unique reading experience for me resulting in a clear 3/5 star rating.